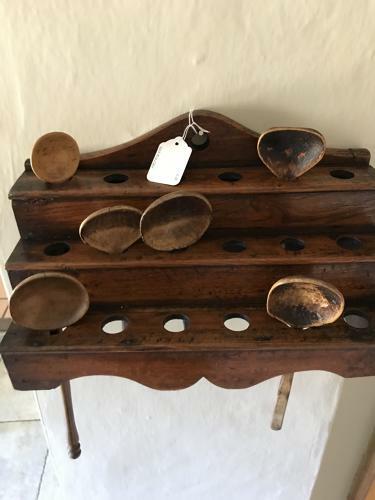 19th Cent Welsh Spoon Rack being of 3 tiers, able to hold 18 Cawl Spoons and made of Oak. Good patination, 100% genuine. Some slight splitting at ends of lower tier, good early nails etc.